With 112 entries, the series finale Round 12 on Saturday, Dec. 3 determined our 2016 class of GoPro Motorplex Karting Challenge Presented by Hoosier Racing Tire Champions. It was an exciting, record-braking and intense year of racing with more than 226 different competitors across 10 divisions chasing their championship hopes throughout the 12-round series. The 2016 season featured competition so close that championship battles in several divisions were settled in the final race and even the final laps of the season on Saturday. During a special championship banquet following the racing action, 10 new champions were crowned. 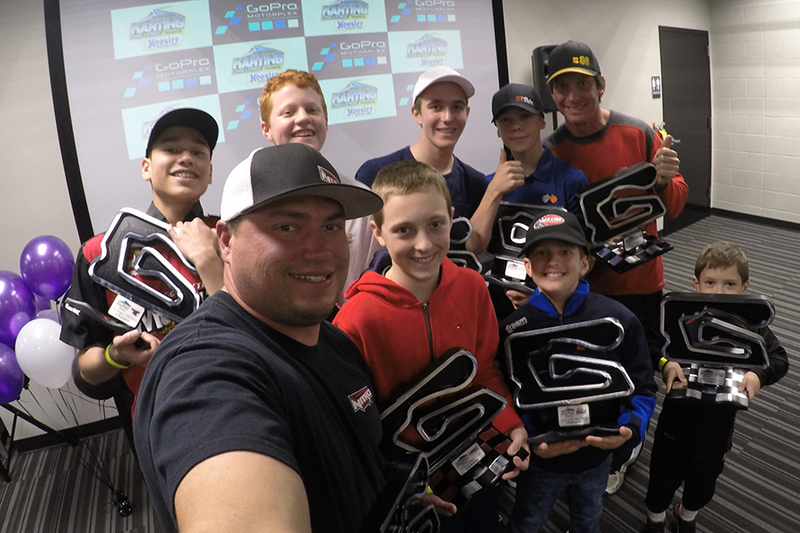 The Champions and top-three in points were awarded custom-designed trophies and prizes, including Hoosier Racing Tire Championship jackets, GoPro HERO4 Black edition cameras and GoPro Motorplex Gift Cards. GoPro Motorplex wishes a sincere “congratulations” to all 2016 Karting Challenge champions and to all of our karters on their achievements throughout the season. We would like to thank our sponsors, partners and especially our competitors and their teams for their support of another great Karting Challenge season. Please stay tuned to gopromotorplex.com for the announcement of our 2017 GoPro Motorplex Karting Challenge series schedule and class structure coming soon.